Freshly unearthed history was on display in Ipswich as archaeologists talked about their latest finds. Archaeologists from Oxford Archaeology East were on site on Friday talking about the artefacts many of which are thought to be from Anglo-Saxon times. A copper alloy belt brace was found on the site thought to originate from Europe and brought to Ipswich by boat. 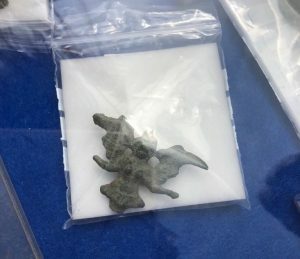 A tiny lead rune was also found which a detailed inscription thought to be a curse or a charm that is currently being translated by experts in Anglo Saxon history. Plans have been approved for the development, on the former offices of the EADT and Ipswich Star for a retirement home development for McCarthy and Stone, consisting of 51 apartments, 11 houses and additional facilities for future residents. 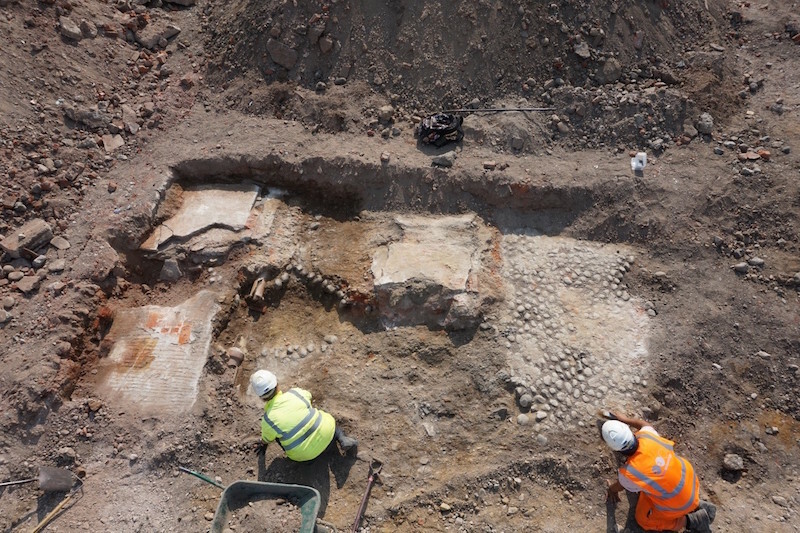 Churchmanor Estates are the company responsible for the development and the archaeological works. Matt Cloke, Development Director, commented: “We are excited to be regenerating this important site in Ipswich, which forms a key link between the town centre and the Waterfront. He added: “At the same time, we’ve also ensured that the remains of the industrial uses from more recent times have been fully removed, allowing the site to be returned to residential use once again, and starting the next chapter in its history.